BLACK REPUBLICAN BLOG: No Surprise: The House Democrats’ Intel Memo Confirms The GOP Memo! No Surprise: The House Democrats’ Intel Memo Confirms The GOP Memo! Rep. Adam Schiff’s House Intel Minority response to the troubling allegations of malfeasance made by the Majority is about as weak as it gets. 1) DOJ failed to inform the FISA Court that the “dossier” was political oppo funded by the DNC and Clinton campaign. 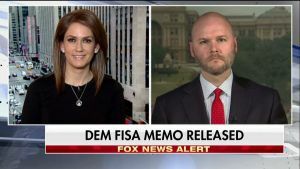 · It is STUNNING that Dems are unable to refute the fact that the FISA Court wasn’t informed evidence presented for the basis of a warrant was gleaned from a DNC/Clinton campaign document! · “Appear[s] intended for use ‘to discredit’ Trump’s campaign” Are you kidding?! It is truly incredible if that’s all that DOJ disclosed to the Court about a DNC/Clinton document. 2) The “dossier” was used to obtain a FISA warrant. · The best the Dem memo does to dispute this point is to say DOJ made “narrow use” of the dossier in obtaining the FISA warrant for Carter Page. · Again, the fact the Minority cannot outright deny that a DNC/Clinton funded document was used to wiretap an American is extremely concerning. · Furthermore, the Dem memo makes no effort to dispute that Andrew McCabe testified before the Committee that the FBI would not have sought FISA surveillance without the dossier. President Trump on Saturday dismissed a Democratic rebuttal to the GOP memo outlining government surveillance abuses in the 2016 campaign as a “total political and legal bust," claiming that it only confirms the ”terrible things” that were done by the nation’s intelligence agencies. Democrats sought to counter claims made in a Republican memo released this month that the FBI and DOJ relied on a Democrat-funded anti-Trump dossier to ask the FISA court for a warrant to monitor Trump adviser Carter Page. Democrats have vehemently claimed that the Republican memo left out important information. 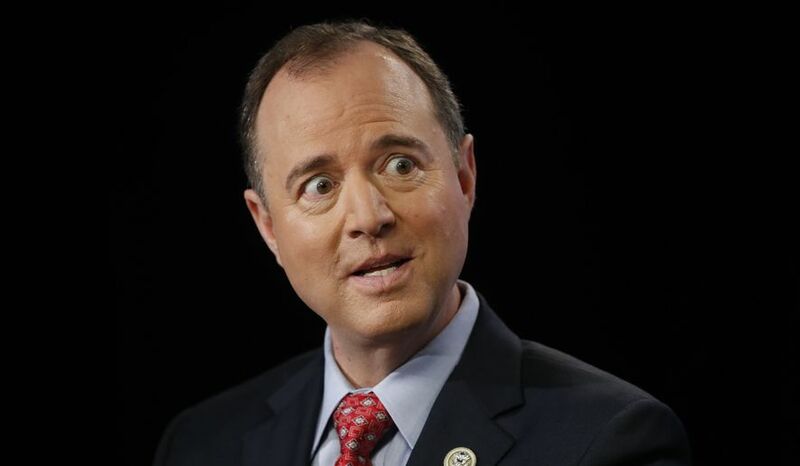 Ranking Democrat Adam Schiff, D-Calif., countered by saying it confirmed that intelligence officials acted appropriately. Republicans had found that the DOJ and FBI left out Democratic National Committee and Hillary Clinton campaign funding of the dossier, as well as the anti-Trump motivations of author and former British spy Christopher Steele, in its request for a warrant. Indeed, Republicans have pointed to this as proof that intelligence agencies abused surveillance powers. The Democratic rebuttal, though it did not directly challenge some of the key findings of the earlier one from Republicans, backed the FBI and DOJ in their pursuit of that FISA warrant to surveil Page. “In fact, DOJ and the FBI would have been remiss in their duty to protect the country had they not sought a FISA warrant and repeated renewals to conduct temporary surveillance of Carter Page, someone the FBI assessed to be an agent of the Russian government,” the rebuttal said, adding that the DOJ met the “rigor, transparency, and evidentiary basis” needed to meet FISA’s probable-cause requirement. The memo said the Page surveillance warrant produced intelligence deemed reliable, and sufficient to justify renewals every 90 days. The rebuttal said the FBI had an "independent basis" for investigating Page's motivations, and that he had been targeted for recruitment by the Russians. It also claimed that the DOJ "repeatedly informed the Court about Steele's background, credibility, and potential bias." And it maintained that the Justice Department infomed the FISA court that Steele had been hired by "politically motivated U.S. persons and entities and that his research appeared intended for use "to discredit" Trump's campaign. The rebuttal added that the DOJ only made "narrow use" of information from Steele's sources and that in later FISA renewals the DOJ provided "additional information obtained through multiple independent sources" that backed up Steele's reporting. It challenged the Republican assertion that the FBI authorized payment to Steele, saying that it neglected that the payment was canceled. The memo, however, did not directly challenge the Republican assertion that former FBI Deputy Director Andrew McCabe testified to the House Committee that they would not have sought the Page surveillance warrant had it not been for that infamous dossier. The new memo also asserted that the dossier had been corroborated by multiple sources. However, in June 2017 testimony to the Senate Intelligence Committee, former FBI Director James Comey said the opposite -- that three months after the warrant on Page had been granted he still considered the dossier "unverified" and "salacious" when he briefed incoming President Trump in January 2017 at Trump Tower. The rebuttal was voted out of committee earlier this month but a redraft was ordered after the White House demanded that sensitive information be stripped out before the document be made public. The Justice Department and FBI claimed the initial draft would reveal information about sources and methods, ongoing investigations and other sensitive information. Schiff said the minority's memo should "put to rest" any concerns about conduct by the intelligence agencies. His confidence notwithstanding, it seemed unlikely to mark an end to the ongoing fight over the FISA application and the role of that infamous dossier. Indeed, while the two parties clash over whether that dossier was a primary or secondary driver of the surveillance application, the newly declassified criminal referral for Christopher Steele from Senators Chuck Grassley (R-Iowa) and Sen. Lindsey Graham (R-S.C.) said the FBI and DOJ relied "heavily" on the controversial and salacious document for the FISA application. And upon the new memo's release, Republicans on the intel committee responded with rebuttals to the rebuttal, providing more evidence that this battle has legs. For instance, while the Democrats say that the court was given information about the political motivations of Steele, Republicans say that such a statement is "buried in a footnote" that obscures rather than clarifies his motives. 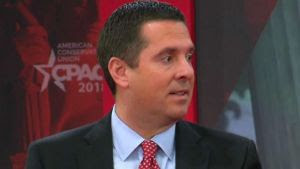 “The American people now clearly understand that the FBI used political dirt paid for by the Democratic Party to spy on an American citizen from the Republican Party," Committee Chairman Devin Nunes, R-Calif. said in a statement. "Furthermore, the FISA court was misled about Mr. Page’s past interactions with the FBI in which he helped build a case against Russian operatives in America who were brought to justice. It defies belief that the Department of Justice and FBI failed to provide information to a secret court that they had provided to an open federal court regarding their past interactions with Mr. Page," he said. Democrats have claimed that the original Republican memo was an effort to attack FBI Director Robert Mueller’s investigation into alleged Russian interference in 2016. Trump had previously said that the memo "totally vindicates" him in the investigation.